It’s 6-6-06. Today would have been Grandma’s birthday, had she not passed on March 10th. My Dad has the little cardinal quilt wallhanging I made her. She loved cardinals. 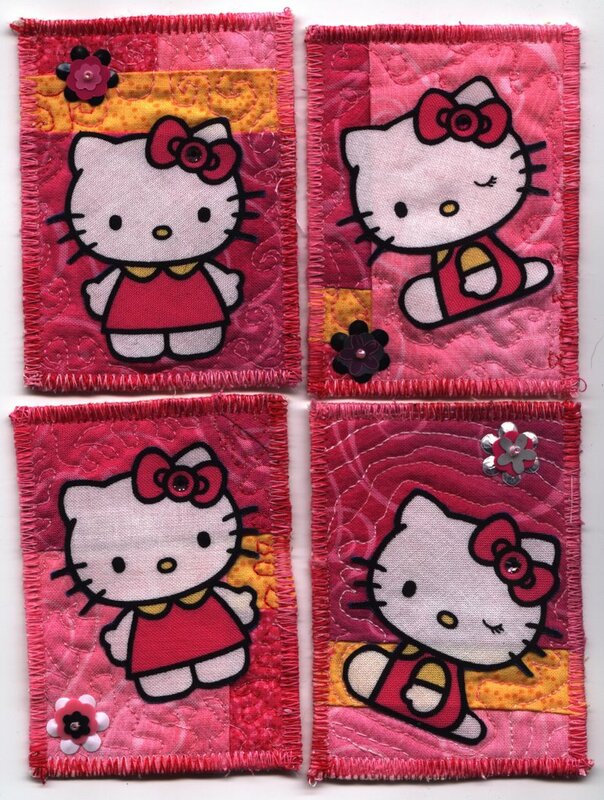 I have been deceptively sidetracked from quilts with the Kanzashi and Amigurumi’s. However, I have been making those addictive Artist Trading Cards for trades over at www.atcards.com. Now, I know I won’t get quilts back, but one of the swaps is a beaded card, so there’s a good chance there. 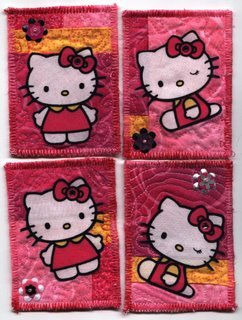 I also made these Hello Kitty cards. I had fun making them and can’t wait to see what I get back. I ordered some ATC makings from www.orientaltrading.com. I’ll post the beaded cards when they are done this week. They have to go to Scotland, so I have to send them soon. So much I want to do and so little time….